Looks great, and we found it easy to use. Small capacity. That said, it works well. 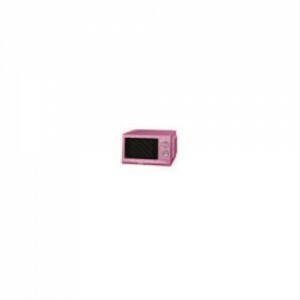 Pink microwaves are fairly scarce - if you have a love for all things pink, then you don't have a great deal of choice, with only a handful of pink microwaves on the market. Elgento's E24006 is their pink offering, providing a 17 litre capacity and 700w of power output. This relatively cheap elegant solo microwave attracted praise from our testers, both performing well and being very easy to use. Controls are operated by adjusting two dials, making this incredibly easy to use. The price tag is pretty reasonable too, offering good value considering the build quality. So should you buy the E24006 microwave? The E24006 from Elgento is an ideal purchase for those looking for a pink solo microwave. It looks good, cooks well, and should last for a good few years.